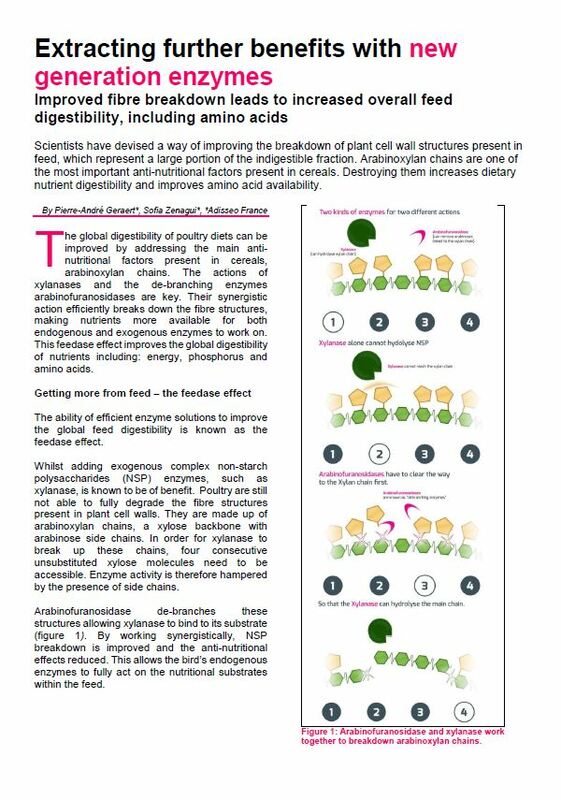 To demonstrate the ability of an enzyme solution, feedase, to release nutrients from the dietary indigestible fraction, a digestibility trial was performed on broilers. 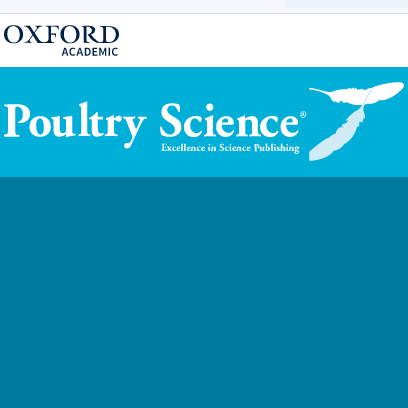 This trial was run with Ross PM3 male broilers between 13 and 22 days of age, using the European Reference Method with ad libitum feeding and total excreta collection during 1 week (Bourdillon et al., 1990). The trial was performed at the experimental farm of Adisseo in Commentry, France. Birds were fed a common starter feed in crumbles based on wheat and soybean from 0 to 12 days, followed by a grower feed with either a simple composition (wheat and soybean meal) or a more complex composition (wheat, barley, rye, wheat DDGS, soybean meal, sunflower meal, rapeseed meal). The addition of a feedase significantly improved the energy utilization and the digestibility of several nutrients, regardless ingredient composition of the diet. 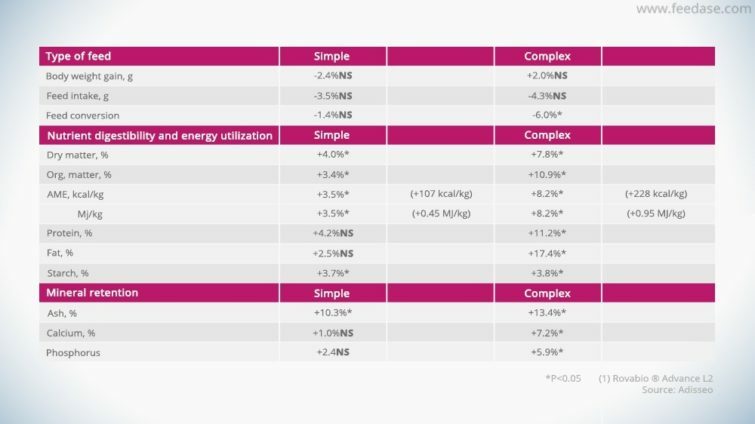 This improvement was more important for the complex diets than for the simple diet.